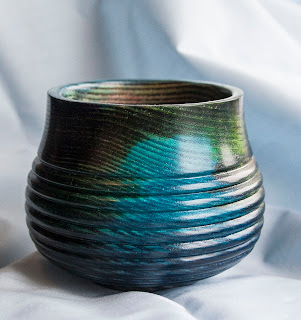 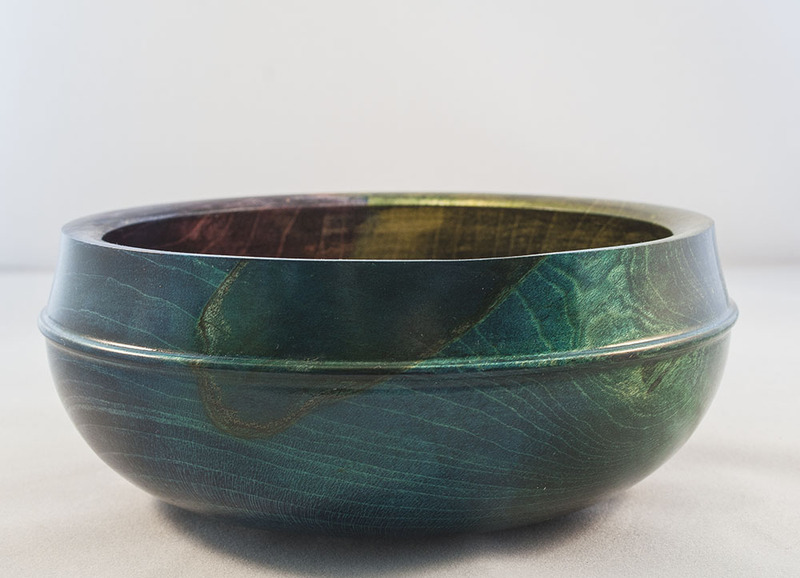 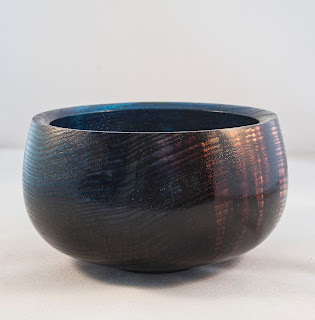 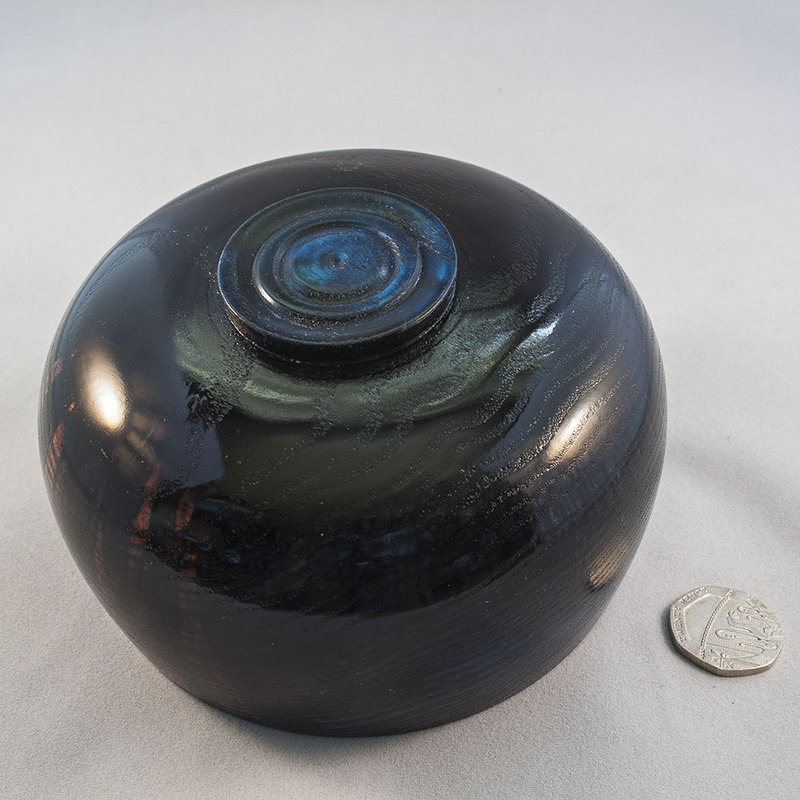 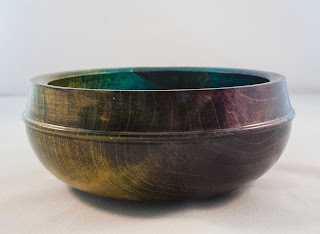 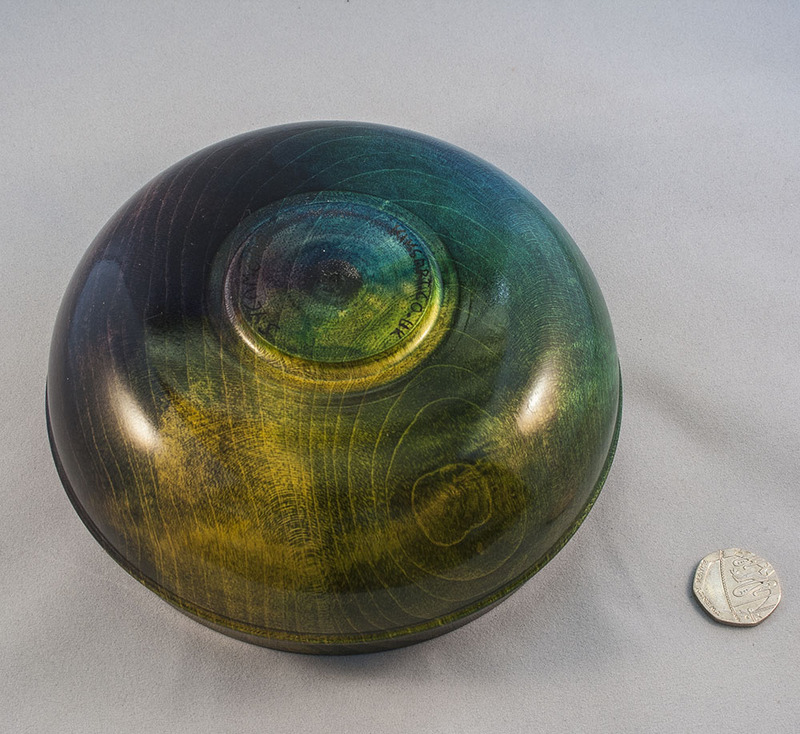 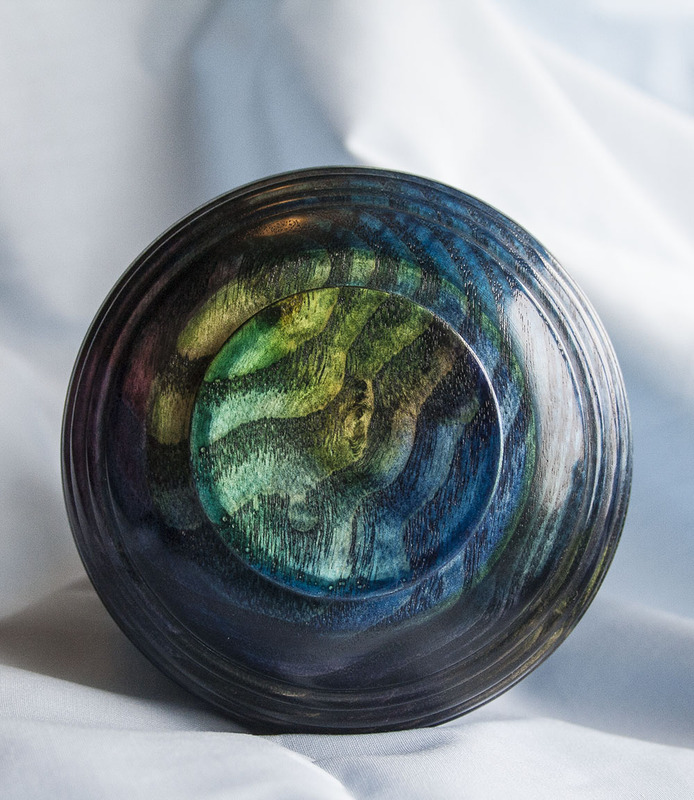 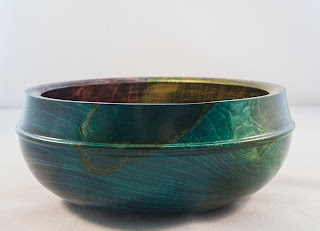 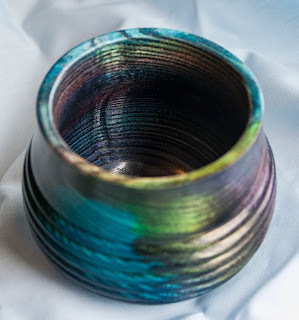 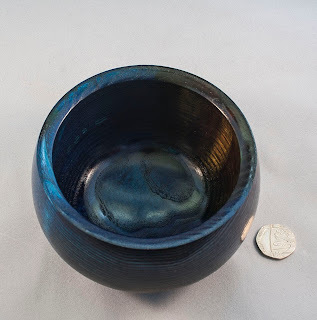 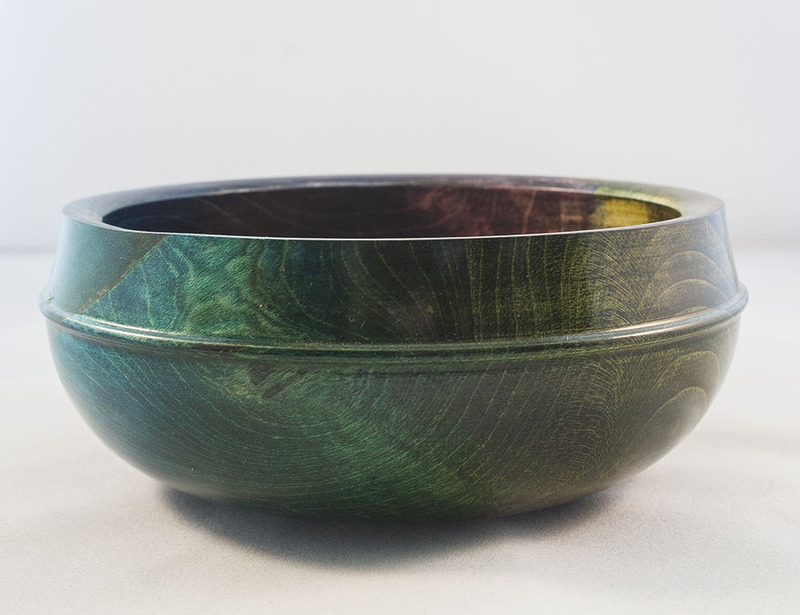 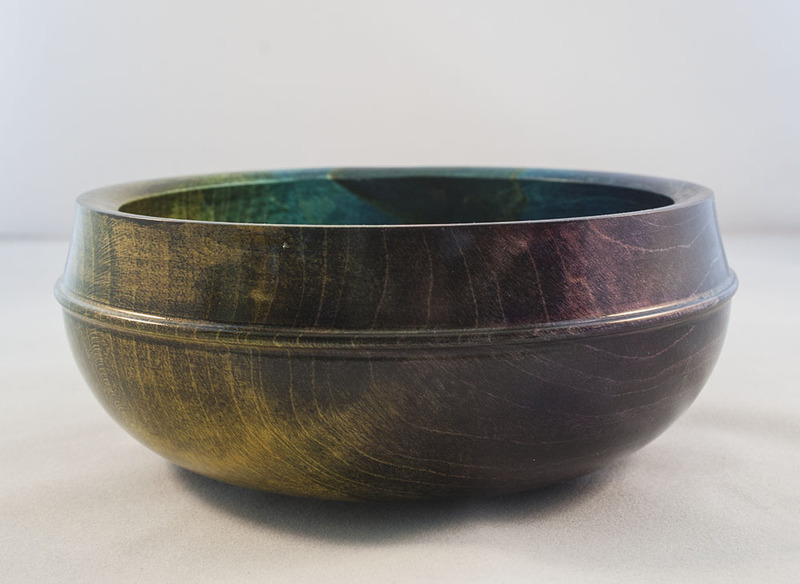 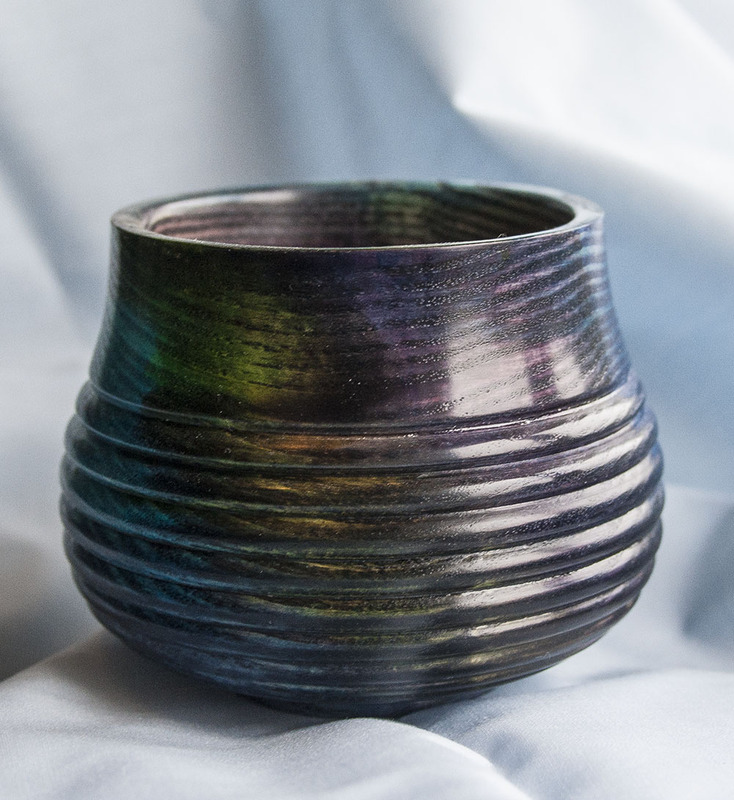 Out of the Trees - Artistic Woodturnings: More colour and something different. Three small bowls that have a similar colouring, my current favourite combination of several of the Chestnut range of stains. 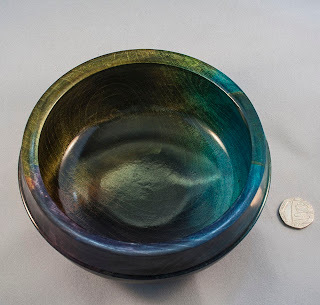 The first two bowls are the ones that were out of shot in the Holly video, number one is a small Ash bowl, the 20p piece is about the same size as a nickel. 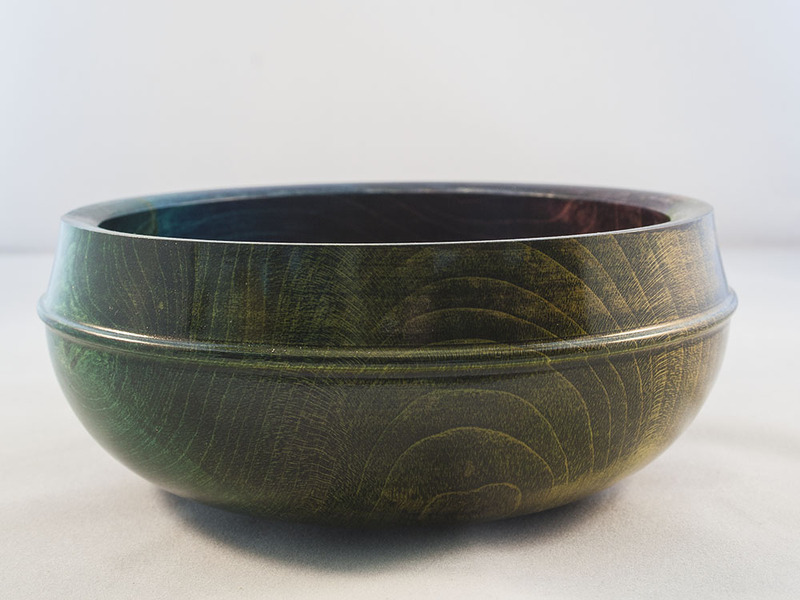 Bowl number two is Sycamore, the design based on suggestions in Richard Raffans book. 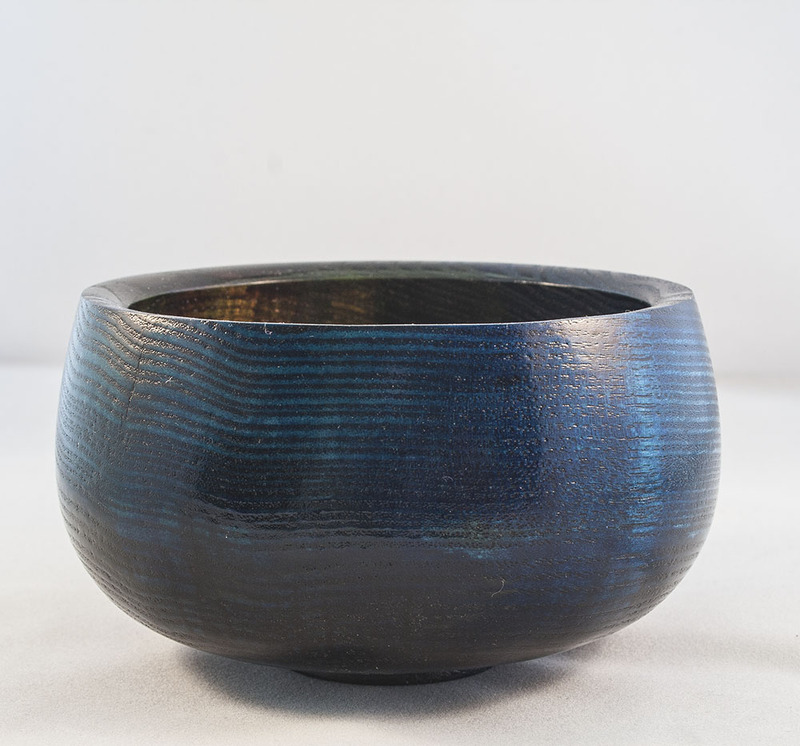 Bowl 3 is Ash again, with a nice ridged design giving texture as well as colour. 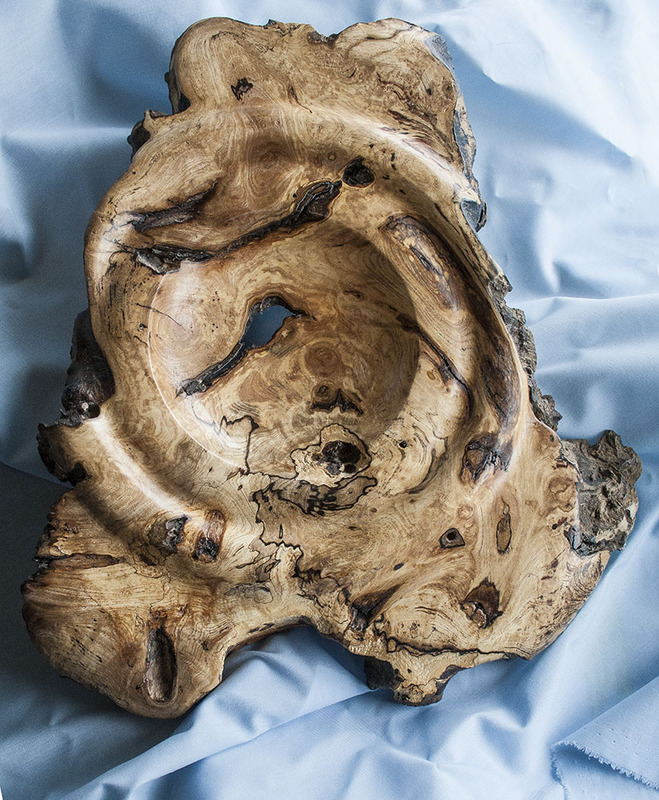 The next two images are of a wall hanging I made from a scrap of old Elm I found under the workbench, this was a real challenge to work, it flew off the lathe 5 times in the process of it's creation, but the end result justifies the effort I think.